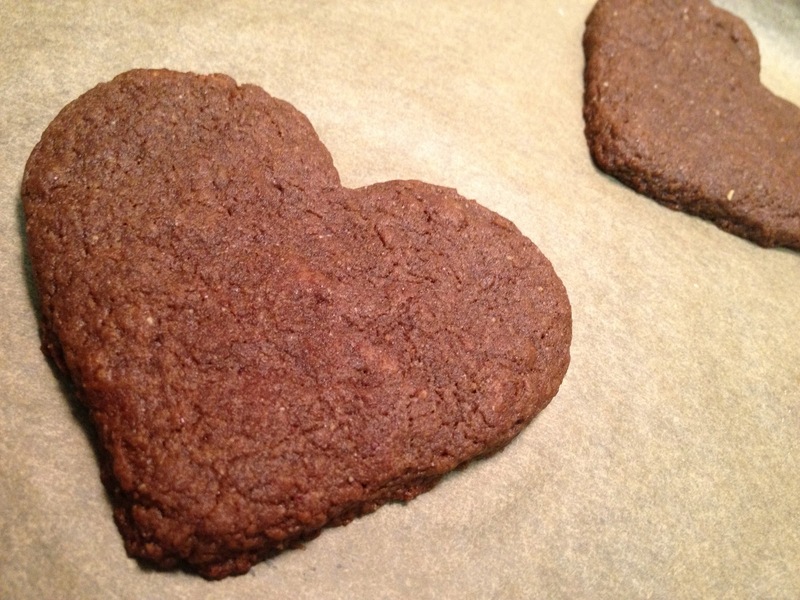 I adapted my recipe for chocolate cookies by adding peanut butter giving these cookies a subtle new flavor. And since it is Valentine’s Day, I thought hearts were in order. In a medium pot, combine oil, bananas, sugar, peanut butter and salt. Warm over low heat for 2 minutes, whisking to combine. Using a spatula, chocolate chips and let them melt. This will take about a minute. When combined, turn the heat off. Sift the flour and baking soda into a big mixing bowl. Add the chocolate mixture and mix until dough forms. Roll out the dough onto a clean surface. Press down with your hands to spread it out and then use the back of a wooden spoon to press it evenly. 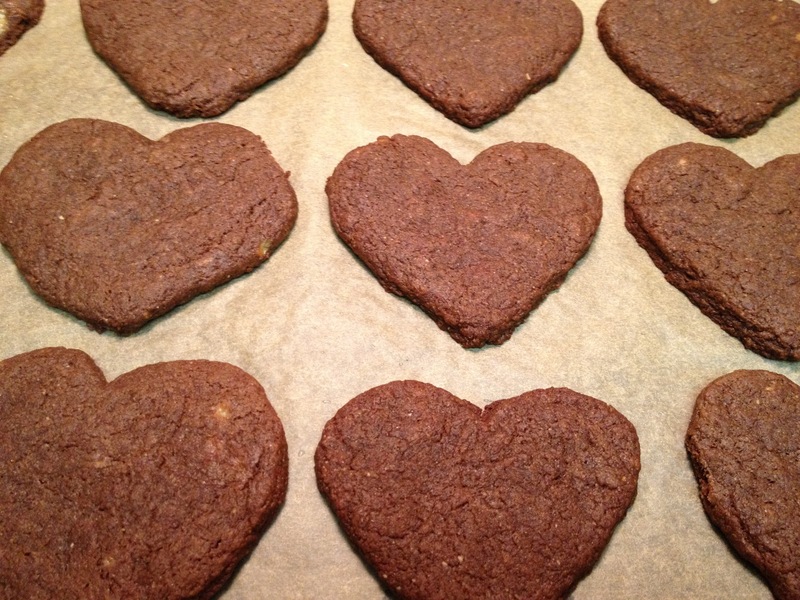 Using a heart shaped cookie cutter (or any shape) cut out cookies. Use a very thin spatula to gently lift them up and place onto baking sheet with a bit of space in between. Bake for 11 to 12 minutes (depending on your oven and the thickness of the cookies.) Let the cookies cool for a while before you handle them. Enjoy!